How Does an Air Conditioner Compressor Work? You are here: Home / Blog / Air Conditioning / How Does An Air Conditioner Compressor Work? The air conditioner compressor is the heart of air conditioning units, no matter the shape or size. Have you ever wondered how it works? 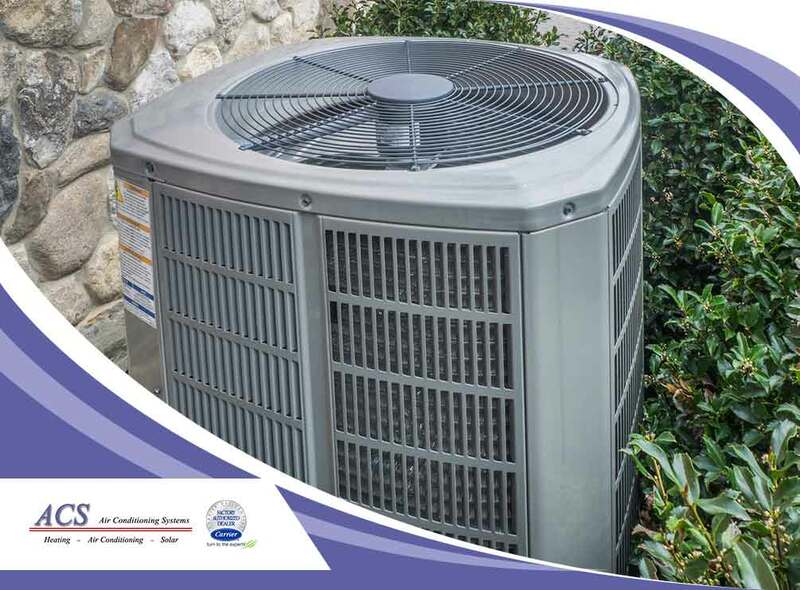 Our experts at ACS Air Conditioning Systems give you a closer look. To understand how it works, you should understand how the entire air conditioning system works. There are basically two systems that work together. The first is the air circulation system, which pulls the room’s air and filters impurities, such as dust and dirt as well as moisture. The air then passes through the evaporator coils, which cools the dry air and is vented into the room as cold air. The second system is the condenser unit, which, for split air conditioners, is the part that’s installed outside the house. The refrigerant is cycled between this and the evaporator, using pressure differences to keep the evaporator cold. The less-than-cold refrigerant is then put through the condenser unit. The heat is released and vented, the refrigerant becomes cold again, and is fed into the evaporator. If you draw both cycles side by side, they would resemble the number 8, with the evaporator at the overlap. The compressor is housed within the condenser unit and the component that starts the chain reaction cools the refrigerant. It should be noted that heat moves toward cooler areas. When the room temperature air passes through the evaporator unit, heat is eliminated from the air. The heat from the air passes along to the refrigerant, which is then fed into the compressor. The refrigerant is then compressed, which condenses into a fluid, and is then released under pressure. At this point, the refrigerant is much hotter than when it came in, but the heat is then dissipated through the condenser coils. By the time it reaches the end of the loop, the refrigerant is cold again and fed into the evaporator coils. This cycle continues as long as the air conditioner is turned on. Certain HVAC systems feature compressors that reverse the process, the output becomes hot air instead of cold. To learn more about our services, call ACS Air Conditioning Systems today at (925) 676-2103. You can also fill out our contact form to schedule an appointment.